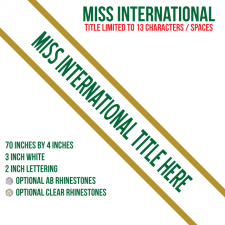 Our Miss International sashes are the same quality as those we make for all our clients, including Miss Universe and Miss USA! If you are looking for a sash for a pageant with a negotiated agreement with SashMe, please look in the "Pageant-Specific" area of our site for your pageant. 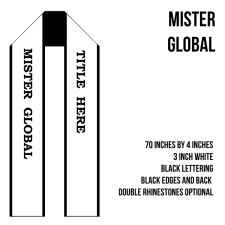 You will LOVE the quality of our MISTER sashes!